NorfolkBroads.com Ltd is a family run business based in Norwich which first started as a little idea in 1996 and grew until we produced one of the first directories to appear on the internet representing East Anglia. The NorfolkBroads.com website has worked hard promoting Tourism and Business for Norfolk and Suffolk for over twelve years now. Late in 2010, we decided to split NorfolkBroads.com into areas and produced two more websites VisitNorthNorfolk.co.uk and VisitSuffolk.co.uk and to concentrate on all three websites becoming Destination websites, especially important because of the World looking to the UK in 2012. 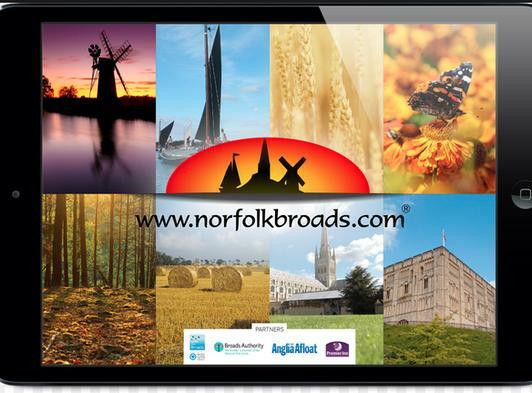 Using all the experience and knowledge of the internet, we have provided easy to use and informative websites for visitors and advertisers alike and we are constantly upgrading technologies as the internet world evolves, ensuring visiting the virtual Norfolk Broads, Visit North Norfolk and Visit Suffolk are a pleasant and fun experience and one that everyone will want to repeat. We pride ourselves on keeping our business sharp and the service to our customers and visitors, quick, efficient and cost effective but most importantly, always delivered with a smile and a friendly word.